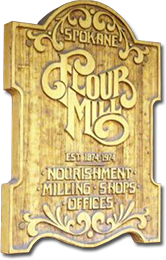 The tradition has continued for over 40 years at this Spokane landmark overlooking the majestic Spokane River and city skyline. This is the perfect place for a special business or romantic occasion, or perhaps simply a nice getaway for lunch or dinner. This classic American grill artfully serves quality steaks, fresh and innovative seafood with enthusiasm by our experienced restaurant team. Voted OpenTable's 100 Most Scenic Restaurants in America for 2016, by OpenTable diners! 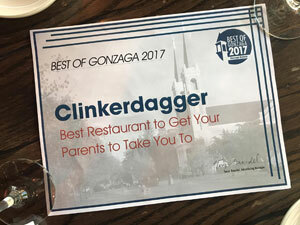 Whatever you're celebrating, turn your special occasion into a memorable meal at Clinkerdagger.